Welcome to the fourth edition of the Journal of Unmanned Aerial Systems. 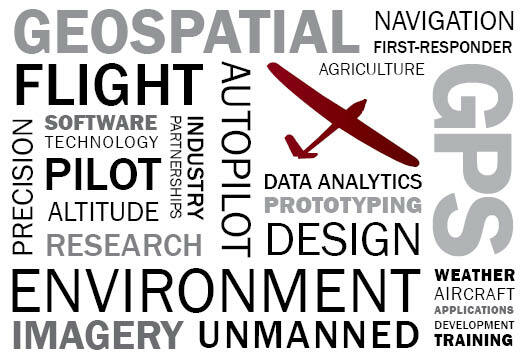 It is hard to believe that we are already in our fourth year as a trusted resource for those in academia, government, and industry seeking to contribute, share, and learn from each other through the publication of peer-reviewed and open-source UAS content. The speed of change and growth in the UAS industry is amazing and the work of those authors selected for inclusion in this edition has surely contributed to that continued momentum. The Journal of Unmanned Aerial Systems would not be possible without our volunteers working as Reviewers, Editorial Board, and Publishing Board members. Their depth of knowledge, commitment to quality, and enthusiasm for the broader topic and specific domains is commendable and appreciated. As the Journal continues to grow and mature, we invite all with an interest in the advancement and sharing of knowledge to submit their work for review consider volunteering to join us. It is truly a rewarding experience. The publication of Volume 4, Issue 1 of the Journal of Unmanned Aerial Systems adds to the growing repository of world-class scholarly work housed in our archives and available to all at no cost. We are grateful to the authors who have entrusted our publication for the distribution of their work and look forward to all that the future holds. The Journal welcomes inquiries and the involvement of additional reviewers who are experts in their field. Those with an interest may contact The Journal via our contact form.